It’s only natural that we become very comfortable with our spouse. But as we unload our thoughts and feelings we need to think about how we are effecting our relationship long term. We assume our spouse will always be there and love us unconditionally. Maybe they will always be there but imagine if you were a waitress and you said the above statement to a regular customer that came into your restaurant. Would you keep that customer? Would you keep your job? Probably not! Instead when we interact with other people we try very hard to be non-judgmental, non-critical, and positive, right? It is interesting that we reserve all of our nicety for perfect strangers! The truth is, our words erode our relationship over time. Little by little we find ourselves growing further and further apart. Just like a river erodes its banks, so our words erode our relationship. In fact, when speaking of a “bank”, our relationship consists of what marriage experts call the “emotional bank account”. We are always investing into this bank account. When we are kind and present our issues appropriately, we deposit positive energy into our emotional bank accounts and when we deposit negative words and emotions there is a withdraw from the account. We need to invest in our emotional bank accounts everyday. We do this by practicing basic kindness towards our spouse. Just like a river erodes its banks, so our words erode our relationship. In fact, when speaking of a “bank”, our relationship consists of what marriage experts call the “emotional bank account”. We are always investing into this bank account. When we are kind and present our issues appropriately, we deposit positive energy into our emotional bank accounts and when we deposit negative words and emotions there is a withdraw from the account. We need to invest in our emotional bank accounts everyday. We do this by practicing basic kindness towards our spouse. Complain effectively. It is okay to complain but don’t blame. Two of the most common blaming words we hear are never and always. Fight the urge to use those words. It only rips you apart little by little. Clearly describe what you need. After you have effectively made your complaint known then make your request. “Will you please make it a point to help me clean up the kitchen? 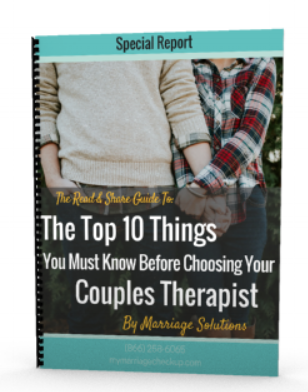 That will make a big difference in my day.” I try to assume that my spouse really ultimately wants to show me love but from time to time they forget. Please and Thank you. Your mama taught you right! Remember to be polite and kind, even with your spouse. You know that feeling you get when you are out and about and you come across a polite employee? They just deliver excellent customer service and you feel so good about your purchase. You think to yourself, “Man I am glad to be doing business with this company.” Everyone knows that sales these days are really long term relationships. Why not incorporate this long term attitude with your life partner, your spouse! Even your kids will pick up on it and learn from the best. Stay Calm. This is the hardest part for so many people. It’s when you see those dishes laying over there on the table for the 50th time. Or their underwear is laying 3 inches from the laundry basket when you have asked them 20 times to make the extra effort to get them in the basket. You know what I am talking about. You can feel the heat pouring into your face and the your heart begins to race. The first thing you want to do is go find him or her so you can give them a piece your mind. Trust me, we have all been there. Here is what you can do. Go away to your happy place for 20-30 minutes until your heart rate has fallen and you feel more calm. Make sure during this time you aren’t plotting your spouse’s death. Think about positive things. Try to fill your mind with all of the good in your life. Go and talk to him or her with the 7 steps we have shared in this post. Be appreciative. Thank them for what they do right. As you thank them for what they do right you will be thinking about good things and you will begin to feel happier and more fulfilled. As you bring your requests to your partner, remind them of the times they’ve done it right. If they’ve never done it right, they must have done something right in their lifetime. Remember that. They married you, right? They really have done something right=).